Best Rates on low cost, affordable, cheap Flood Insurance for the Sacramento, Chico, Redding, San Francisco, Oakland, San Jose, Long Beach, Fresno, Los Angeles, Santa Ana, Anaheim, and San Diego, California regions. Providing our Clients with low cost, affordable, cheap flood Insurance. 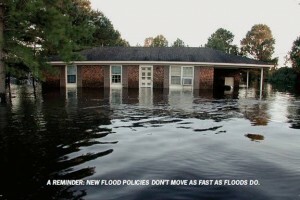 Get a Free Flood Insurance Quote. Natomas, Sacramento, West Sacramento, and Sutter County urged to buy Flood Insurance before December 8, 2008. Call (916) 984-9320 for flood insurance . If you should have any questions regarding Flood Insurance, or we can assist you with a quote, please call (916) 984-9320. Insurance Center for Sacramento and the Northern California region including Folsom, Elk Grove, Rancho Cordova, Carmichael, Antelope, Kavala Ranch, North Highlands, Gold River, Fair Oaks, Woodland, Natomas, Sacramento, Anatolia, Rocklin, Roseville, Lincoln, Loomis, Granite Bay, Galt, Davis, West Sacramento, Citrus Heights, Orangevale, El Dorado Hills, Stockton, Modesto, Los Angeles, San Diego, San Francisco, Long Beach, Fresno, Oakland, Santa Ana, Anaheim, Lodi, Merced, Tracy, Antioch, Dixon, Woodland, Fairfield, Vacaville, Vallejo, Marysville, Yuba City, Linda, Plumas Lake, Chico, Sutter, Bakersfield, San Jose, Campbell, Placer County, Sacramento County, El Dorado County, Yolo County, San Joaquin County, Sutter County, Northern California, Central California, and Placer County, and other cities and counties within California.